Both Personal editions and Group editions of USB Flash Security will be compared here. USB Flash Security has 9 editions. Main difference of each edition is in the following table. Personal Edition is 1 man 1 license and Group Edition is 1 USB drive 1 license. "Free edition" is only for Non-commercial & Personal use. Probation period is 15 days. We will set the number of USB drive which can be install by one license according to your order. Usually, the capacity of USB Hard Drive can be secured is up to 2TB. If the USB Hard Drive is native 4K hard drive, the capacity may be over than 2TB from Ver.4.1.8. Maybe it does not work normally, even if install compeleted. Please confirm the "how to install to USB hard disk" in our homepage. The function to change the size of "Unprotected area"
This function can be used only when Windows supports from Ver.4.1.7. 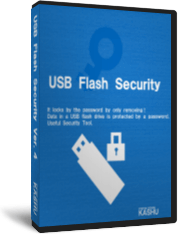 It is necessary to install "USB Flash Security PRO Service" to unlock security by limited account. Security can be installed from Ver.4.1.8. But the capacity of USB Flash Drive will be 4GB by free edition, 4GB by + and +g edition, 8GB by ++ and ++g edition, 16GB by # and #g edition. The rest capacity will be unused area.